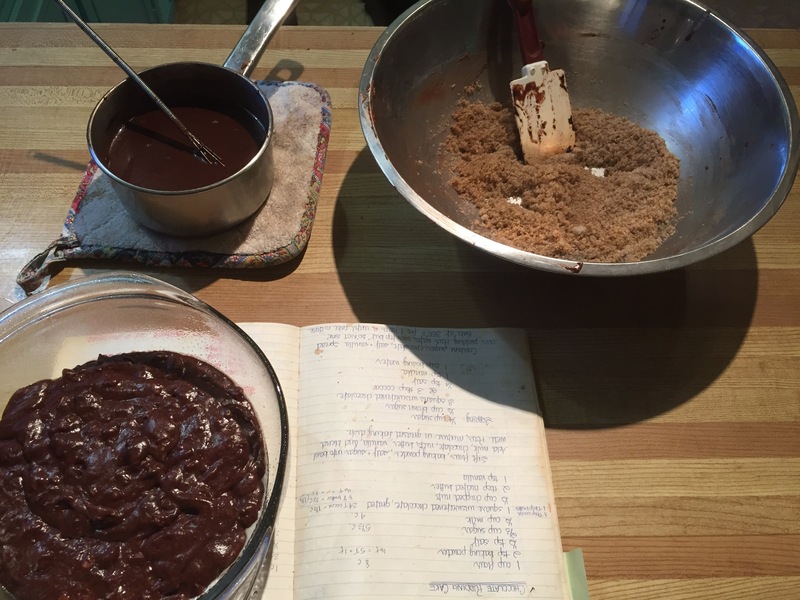 Another recipe from my childhood, something simple but delicious. Down-home decadence, this was. I increased my mom’s recipe to make more sauce, as I felt the proportions weren’t quite balanced. Long before there was Lava Cake, this combination of chocolatey sauce and moist cake was the ultimate decadence at our suburban dining table. Preheat oven to 375F / 190C. Grease a casserole dish. Prepare cake: Sift flour, baking powder, sugar and salt in a large bowl. Toast nuts in warming oven for 5-7 minutes, until fragrant. Stir into dry ingredients. Melt chocolate (or cocoa and butter) with butter in a small saucepan. Stir into flour mixture. Pour cake mixture into greased dish. Prepare sauce: Blend sugars and salt in medium bowl. Melt chocolate (or cocoa and butter), add vanilla and stir well. Whisk in boiling water slowly and mix well. Fold into sugar mixture. 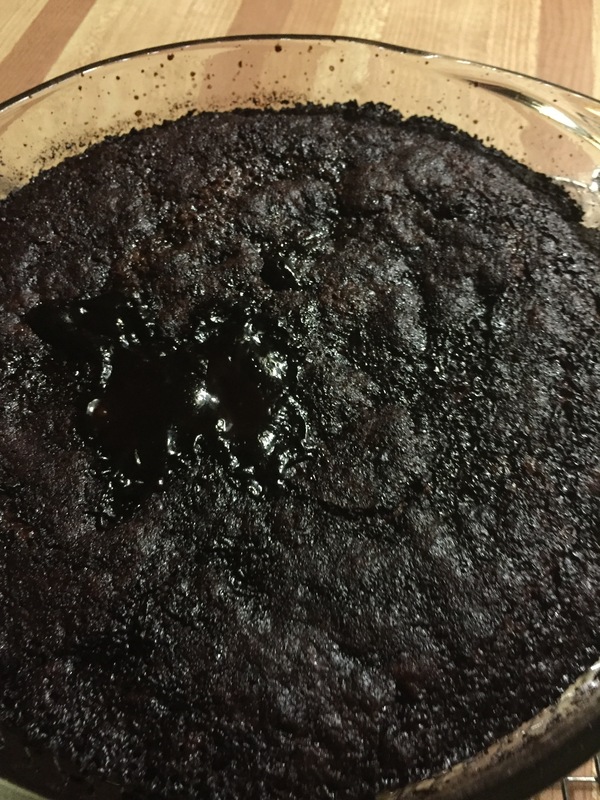 Gently pour sauce over cake in greased dish; DO NOT STIR. Bake in preheated oven for 45 minutes, or until cake is done (toothpick inserted in centre comes out clean). Serve warm with whipped cream or ice cream. Serve leftovers with coffee cream, if desired.